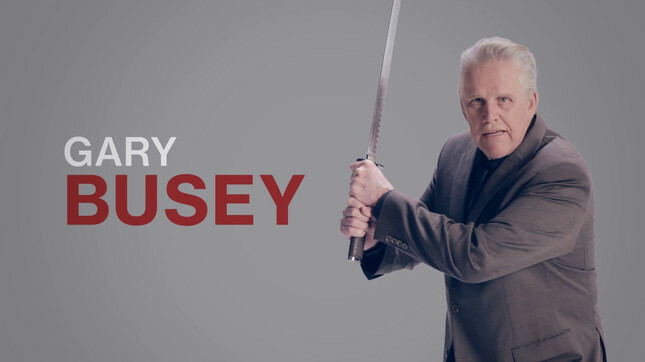 Hitman has announced the newest Elusive Target coming to the game, and it's... Gary Busey. The latest Elusive Target was chosen after a campaign called for players to vote between actors Gary Busey and Gary Cole, asking "Who would you rather kill? May the worst Gary win." Busey has been a career villain in movies like Under Siege, Lethal Weapon, and Drop Zone. Meanwhile, Gary Cole played the boss everyone hated, Bill Lumbergh in Office Space. The two appeared in a video as fictional (we hope) versions of themselves, making claims like "I stole a baby from a candy store" and "I clubbed a seal with another baby seal". The votes have been tallied, and it would appear that Busey is the more despicable Gary. Busey will be available for seven days from 5am PDT on July 21 (midnight on July 22 NZT) as a special target known as 'The Wildcard'. Elusive Targets appear within Hitman for a limited time, and players only get one chance to make the kill. General rewards are normally included for completing Elusive Target contracts, however Square Enix is yet to confirm any specific rewards for the assassination of Gary. Those looking for the extra edge in taking out 'The Wildcard should consider using the recently released the Hitman Companion App, which displays a target's details on a player's smartphone.